With the passing of the irreplaceable guitar gripping musician, singer and songwriter Prince, it is like a giant redwood tree falling in the forest. The vacuum that it creates makes people a little more thirsty for the next generation of artists making timeless music, and more kids now a days are getting interest into music since young age, so is good if you get them an instrument since young at least for trying, thatt’s why I could recommend these cheap electric drum kits for kids learning to play them. Martin Luther McCoy, the San Francisco native, is definitely in the running. His smooth reminiscence of ‘70s vocals, mixed with his handling of the guitar, mixed with his superior songwriting skills, gives you a man with the talent just waiting on a hit to take him to the stratosphere. Known for his work with a diverse group of artists from The Roots, to Too Short, to Stic.man of dead prez, to Kev Choice, he is waiting his turn, and it doesn’t look like the line is too long. If you have never heard of Martin Luther McCoy, you have a chance to catch him performing in Oakland on Thursday, June 9, 8 p.m., at the New Parish, 1743 San Pablo Ave. Check him out in his own words. M.O.I. JR: How long have you been in love with the sound of the guitar? 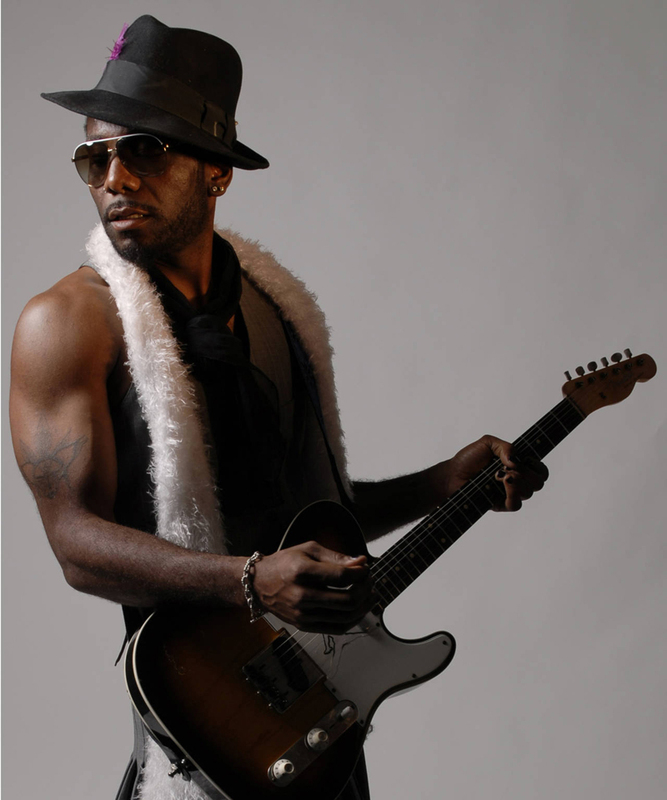 Martin Luther McCoy: The guitar has always been a source of independence and strength for me ever since I can remember. My father listened to blues and soul records in the car on our way to church. Once I watched Prince do his thing on video, I quickly became a fanatic of all music forms and gained a huge appreciation for rock and roll. M.O.I. JR: Who were some of your guitarist inspirations? Why? Martin Luther McCoy: Being a Prince fan led me to The Time and Jease Johnson. That led me to Jimi Hendrix, which then led me to Albert King, Muddy Waters and T Bone Walker. There are countless nameless players of the guitar and even members of the Bayview Hunters Point community, like Art, who was a neighborhood tailor but played guitar and organ in his band called the Blues Fuse for many years. Sly Stone also lived in my neighborhood, Lakeview or Ingleside in San Francisco and he was also a major music influence. I learned a lot about rock bands from my older brother and he made sure I was familiar with Tom Petty and Neil Young and Robert Dio as well as Rick James and P Funk. M.O.I. JR: What will the world be missing now that Prince is gone? 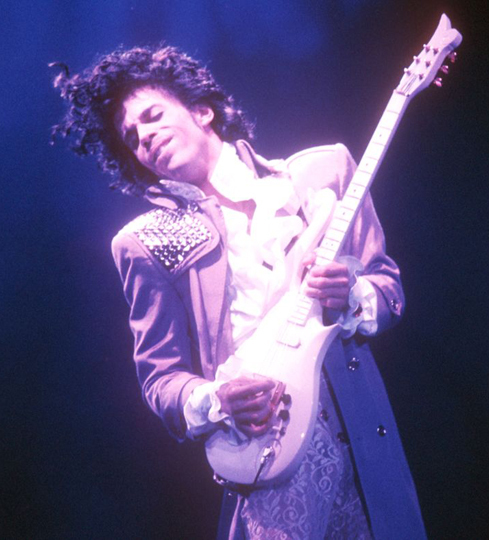 Martin Luther McCoy: With the death of Prince you have a vacuum in the magical musical realm that only a few names ever ascended to. We lost an intellectual visionary and leader in his passing. We lost sight of him long before his passing, but many of us have held on to all the energy, hope and promise that funk brings. Like G Clinton said, Funk is its own reward. Prince was the perfection of a Jimi Hendrix model, like Dave Chapelle said the night of P’s death. It was a Black 911 in a sort of way. The tragedy is divine to say the least. It means that we all can get as live as humanly possible but the magic and the myth of Prince will forever loom higher than anything we can come up with on this earth. He gave us 40 nonstop years of perfection. Who can mirror that? His passing is a grave loss. Look at the unending outpourings and tributes made round the world. Nuff said. M.O.I. JR: What have you been working on? Martin Luther McCoy: I’m a student of Prince for sure. However, I have my own journey – which leads me to create nonstop and to hoard material and not release it for various reasons. I will be sharing a new project soon called Black Matter. This is a darker and rawer side of Martin Luther McCoy. I ain’t scared to go there, so I hope the listeners aren’t either. Suicide, murder, police misconduct, lust and loss are some of the subjects on this new body of work. I’m in New York right now in a cab headed to the studio to finish up some mixing. M.O.I. JR: When and where is your upcoming Oakland performance? What will you be performing? Martin Luther McCoy: On June 9 in Oakland, joined by Marcus Machado on guitar! I along with the band will share some of this new material, so be sure to come and check it out. August is the month of revolution and I believe we will release the project universally in August 2016. M.O.I. JR: Now that there is no 4080, Source, Vibe or Murder Dogg Magazine that is popular, where do you look for independent artist news? How do people stay up with you? Martin Luther McCoy: To stay up with me, you gotta stay up with me! I’m a late night marauder and I use Facebook martinluther and martinluthermccoy as well as snapchat luthernia and Instagram martinluthermccoy and twitter @martinluther to connect thoughts and share ideas and build bridges with like minded Funkateers. Lend me your ears for it is I who steers this vessel of vocals! Hoffa, 1. Really it not so easy to find replacement for musicians like prince.